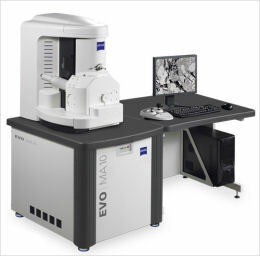 The EVO® MA 10 will be the SEM of choice for many users in Materials Analysis. Imaging non conductors is now central to nanotechnology and the “ high vacuum only” conventional SEM has been superseded. With a large motorised 5 axis stage, variable pressure capability as standard, and easy to use SmartSEM software, the EVO® MA 10 offers a perfect imaging solution to the modern Materials Analysis SEM suite. Francesc Bohils. E-mail i telf.